We are providing depth knowledge and practical training of Textile, Home Furnishing, Designing, Costing, Merchandising etc. IPTT conducts classes in Computer Course, Fashion Designing and Graphic Designing. 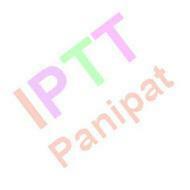 It is located in Panipat, Panipat. It takes Regular Classes- at the Institute.